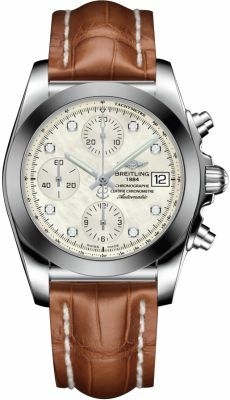 Our collection of Breitling Chronomat watches features designs that are entirely unique to the Breitling watches range as a whole. 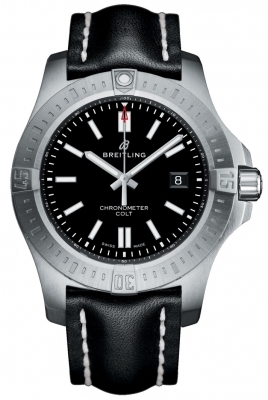 From the screw-locked safety push-pieces that allow Breitling Chronomat watches to withstand overpressure of 30 bars, to the self-winding chronograph feature of the Breitling Avenger watches, the Chronomat range features a unique assemblage of watches that’s entirely true to the company’s reputation. After the revamp of Breitling’s collections, their famous Avenger and Colt collections also found a home within the Chronomat family as a result of their shared popularity with pilots, so the range is now more expansive than ever before. As Breitling Chronomat watches were originally designed for the world famous Freece Tricolori flight team (the elite Italian Air Force’s aerobatics team), it’s undeniable that the Chronomat range brings its own piece of history to the watch industry. 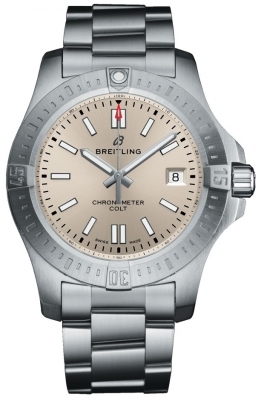 However, despite the innovation, the range still retains the bold and robust construction and aesthetics that have become Breitling’s signature over the years. Banks Lyon Jewellers are pleased to be an authorised stockist of watches from Breitling, ensuring each and every customer is supplied with a timepiece that’s 100% genuine. 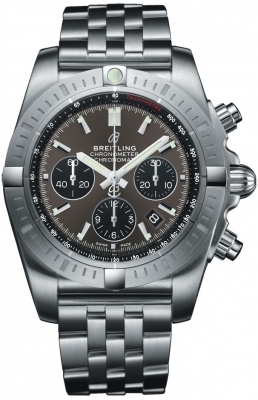 If you wish to find out any more information on any of our Breitling Chronomat watches, or want to look into buying your timepiece on 0% finance over a period of up to 48 months, please email personalshopper@bankslyon.co.uk and one of our team will be in touch and be more than happy to discuss availability and pricing.